There are 3 species of hackledmesh weavers known from Ohio. 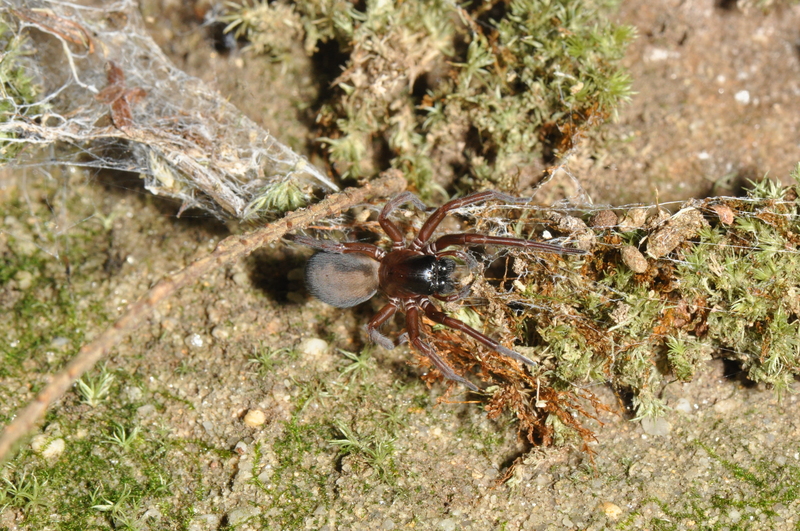 This represents about <1% of our spider species, but some are quite common. 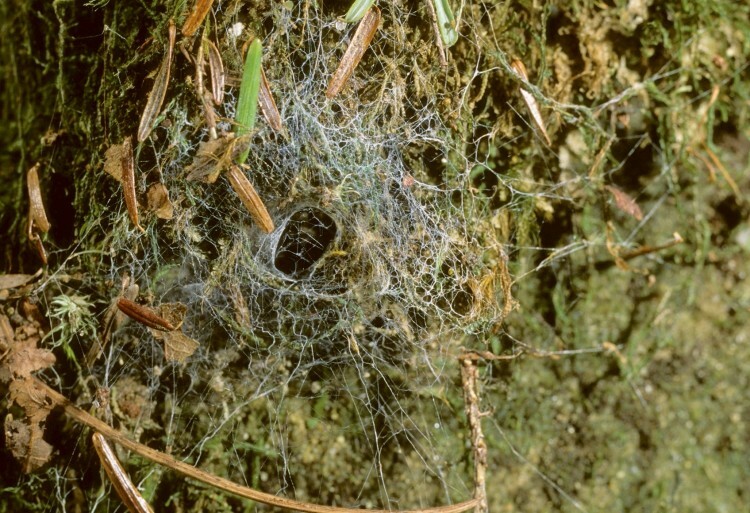 These spiders are relatively large heavy-bodied and usually dark-colored spiders which build sheet webs that have one or more round openings into a retreat. They have robust jaws. 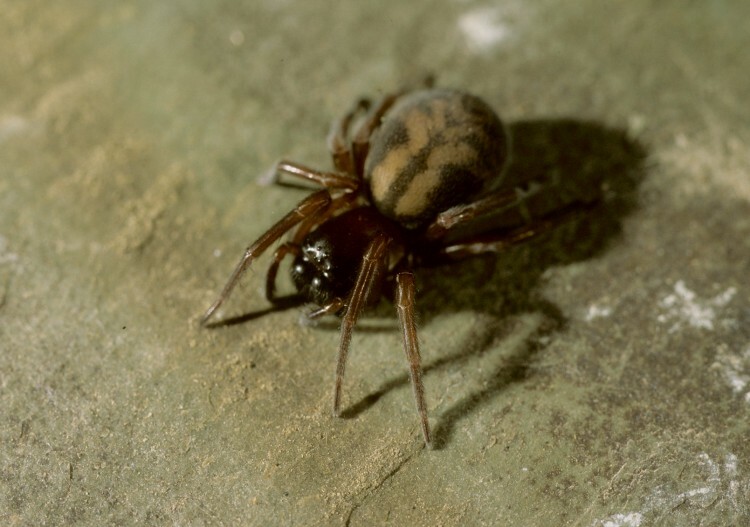 Amaurobius and Callobius live under rocks, logs, and bark on standing dead trees. They are shy spiders and are rarely seen except by examining their web. At the base there is a silken retreat where the spider rests. 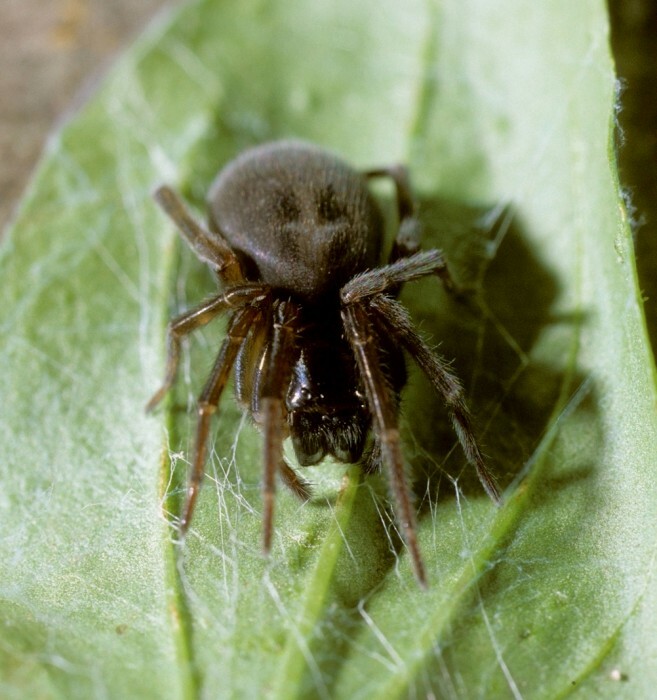 By far the more common of these two species in Ohio is Callobius bennetti which occurs throughout the state. The messy hacklebanded appearance of the sheet surrounding the funnel is very distinctive. Amaurobius ferox is often associated with human habitations and is thought to have been inadvertently introduced into North America from Europe.